With the 2012 U.S. Open set for next week, adidas Tennis is offering fans the chance to speak with two of the event's stars directly. With the 2012 U.S. Open set for next week, adidas Tennis is offering fans the chance to speak with two of the event's stars directly. Tonight at 8.30 p.m. EST, Ana Ivanovic and Fernando Verdasco will be available on the brand's Twitter account, questions live from the NYC adidas Sport Performance store. For people in attendance, the Twitter screen will be projected onto a wall. 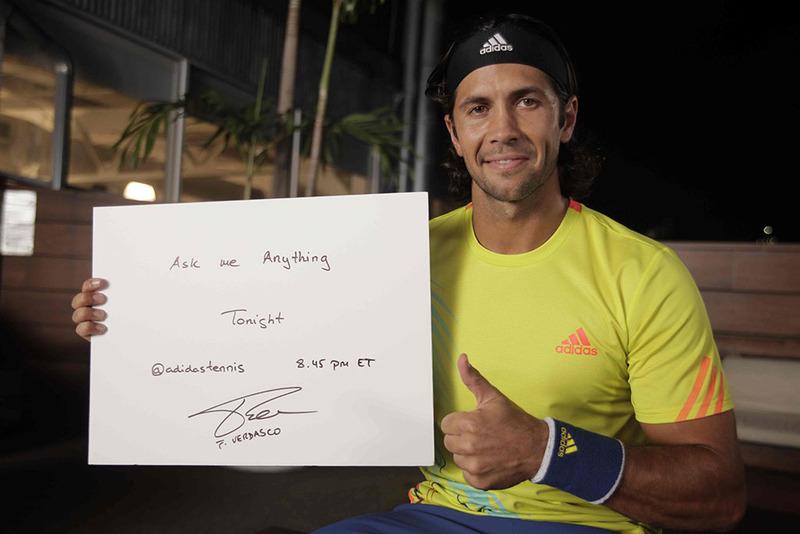 Send your questions to @adidastennis.